A man has been charged with attempted murder after a teenager was shot in the leg. Abdi Adbirizakh Ali, 18, of St Peter's Road, Leicester, was also accused with possessing a shotgun at Warwickshire Magistrates Court. He was remanded in custody on Monday and will appear at the crown court on 4 January. 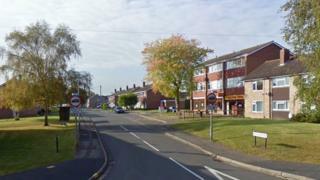 The victim, 17, is stable in hospital after the incident on Brookside Road, Stratford-upon-Avon on 4 December. Det Insp Tim Sharp from Warwickshire Police said: "Following this incident we launched a thorough investigation and we continue to try to locate another male in connection with it."